As children, we often look at the situations and experiences around us and dream of the future, but rarely does it turn out the way we expect. For kids who grew up in the ‘80s and early ‘90s, the arcades were a wonderland, and most who stepped through their doors could only imagine a future where a trip to the arcade would only mean walking down the stairs to the basement. Life doesn’t always follow a script, but when it does, and the dreams of a child are realized, it’s picture perfect. 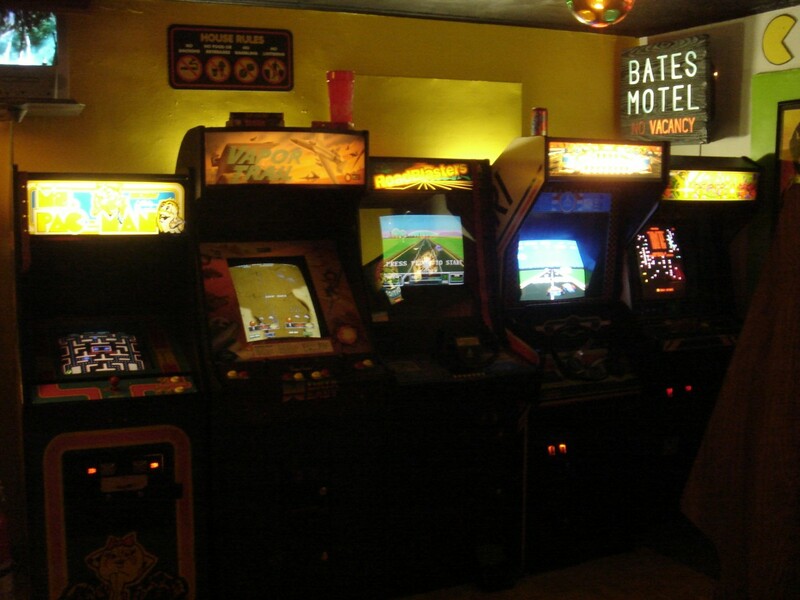 For David Fife, growing up, there was no better place than the Time-Out arcade. Which is why when you walk into his basement, you’re transported to the past. 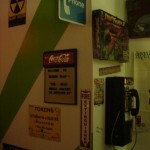 Everything from the color scheme, to both authentic and reproduction signage, to redemption tickets, along with the games lining the walls harkens back to the legendary arcade. Overall, David’s Screen Play Arcade is a very deliberate attempt at bottling the past. The main thing that I’ve tried to accomplish with the room is to keep it looking as much like a retail location as possible. Great pains have been taken so that the arcade doesn’t look like ‘a bedroom with games in it,’ but an actual business. The goal was to make the place feel like a time warp. While alive during the “Golden Age” of the arcades, it was actually the revival brought about by fighting games in the early ‘90s that were the formative years for Fife. 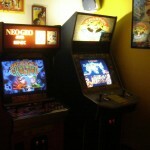 As such, in addition to the seminal Street Fighter II: Champion Edition, not one, but two Neo Geo cabinets line the walls of his home gameroom. However, any gameroom of worth has plenty of variety, which is why Screen Play also has several classics such as Pole Position, Ms. Pac-Man, and Centipede. In between those famously recognizable games is another cabinet that most people would gloss over as “filler,” but from David’s perspective, it may be the most significant. Purchased as his first video arcade game for a meager $75, his Vapor Trail cabinet was sourced from the actual Time-Out arcade from his youth he has tried so hard to emulate. In terms of current projects, the arcade is going to be featured in an independent horror film from micro-budget movie legend Mark Polonia. The film is entitled “Channel 13.” Principle photography for this anthology began in 1989, and recently-shot footage of Screen Play allowed for the movie to be completed. The scenes, which feature only the ’80s titles, were shot on Hi-8, to closely match the VHS tape on which the project began. It was pretty cool to be able to contribute to an ’80s film, which has yet to be seen by the masses. Looking back, with an early exposure to the Solar Quest arcade his father owned, an intense love for the Sega Master System, and a childhood field trip to SNK headquarters, Fife’s devotion to the arcade doesn’t follow a script, but rather, it is a logical evolution. 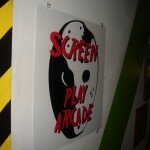 Screen Play Arcade is simply the result of a skilled director capturing his perfect vision for all to see. 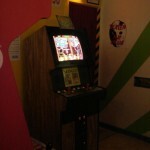 But don’t worry, the credits haven’t rolled on this movie-worthy arcade just yet. If you would like your gameroom to be considered for a showcase on our site, please send an email with pictures and a brief description to gameroomjunkies@gmail.com .